Banner “Spanish Workers Dying for Democracy ” made in Scotland in 1938 and hanging now in the People’s Palace museum, Glasgow. Found it on Wikipedia. “A banner of the Govan Branch of the Scottish Socialist Party (SSP) from 1938. The Scottish Socialist Party was founded by Patrick Dollan in 1933 as an alternative to the Independent Labour Party. It merged with the Labour Party in 1940. 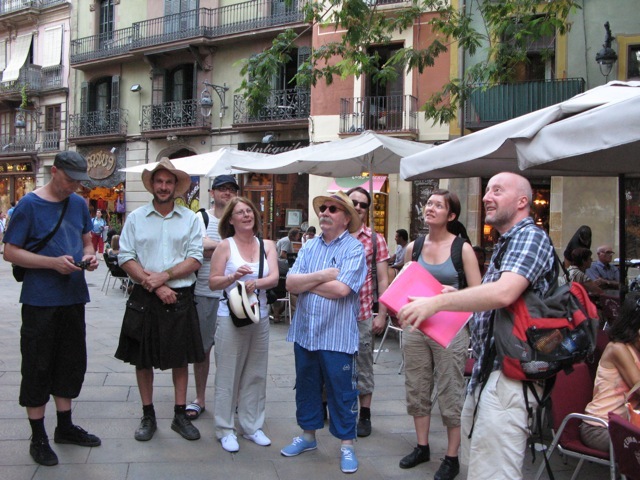 When the Spanish Civil War broke out in 1936 the SSP supported the democratically-elected Republican Government against the rebel Spanish Army and Nationalist factions. 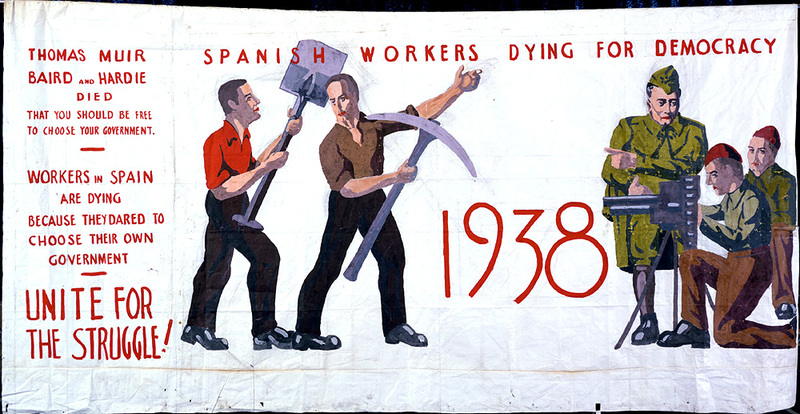 This propaganda banner depicts Spanish workers armed only with spades and pickaxes facing up to the well-equipped Spanish Army. The SSP was critical of the British Government for its refusal to permit British suppliers to supply arms to the Republicans. This entry was posted in International volunteers in the Spanish Civil War.